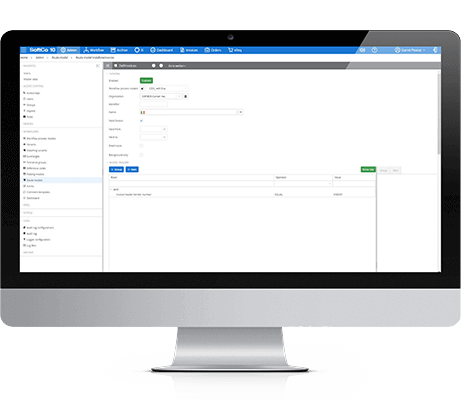 The SoftCo Enterprise Content Management Platform enables organizations to index and categorize each document during the capture process so they are searchable. The Enterprise Content Management Platform integrates seamlessly with all finance systems, databases, and line-of-business applications. Easily capture and store all paper, PDF, and electronic documents in one place. Route documents for approval and coding while flagging exceptions. Simplify the management, protection, and access rights for critical information over its entire lifecycle. Reports and real-time dashboards enable management to measure performance and present KPIs.